He died around 269 AD. But the Valentine of Valentine’s Day could also be Valentine of Terni, who was also buried on the Via Flaminia in 197 AD. Both were martyrs, although that hardly explains the romantic aspect of the holiday. Unless, of course, being a martyr explains it entirely. Anyway, there are no romantic aspects in either of their medieval biographies. 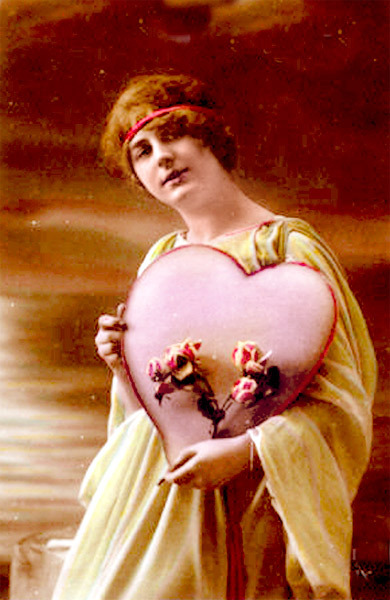 By the end of the middle ages, however, legend said Valentine (the one from Rome) was executed for marrying couples when the emperor outlawed marriage because he wanted single men for the army. If you believe that story, I can sell you a book about Santa Claus . More official accounts say Valentine was actually killed for trying to convert the Emperor to Christianity. The whole couple thing more likely owes its origin to Lupercalia, a Roman fertility rite around the same date when young people ran up and down the street naked, striking each other with their thongs. But not for nothing did I take a graduate course in old English, the fact that my translation looks exactly like the one on wikipedia notwithstanding. Chaucer wrote the poem referring to a treaty announcing their engagement on May 2, 1381. It’s unlikely he was referring to February 14, since birds are unlikely to be mating in England that time of year. Fortunately, there was another Saint Valentine, Valentine of Genoa, whose feast day was May 2. Later John Donne repeated the bird theme in a poem about the marriage of James the First’s daughter, who actually was married on Valentine’s Day. It’s a perfect day for love birds, apparently. The idea took hold, somehow, and on Valentine’s Day in 1400 a High Court of Love was established in Paris dealing with love contracts and betrayals. Judges were chosen by women based on their reading of poetry. This is probably better than Valentine’s Day Cards. At least the poetry was probably better. Or maybe not. It’s been a long time since anyone read Elizabethan love poems with a straight face who wasn’t a high school sophomore. Or a tenure track literature professor. Gather ye rosebuds in deed. In 1797, a British publisher issued The Young Man’s Valentine Writer, which contained sentimental verses for men unable to compose their own. And now here we are, with a $116 billion dollar holiday and over 144 million cards exchanged annually. That doesn’t include the little starter kits that come in boxes, designed so elementary kids can experience early angst. My advice? Pick your Saint before you pick your Valentine. It will take a long time, and it won’t cost you a dime. Looking for a saint? Let me recommend my 39th great-grandmother, Ste. Bathildis, patroness of children, teacher and writers. She abolished the sale of Christian slaves; she had been enslaved and sold to court of Clovis II, whom she married, becoming Queen of the Franks. Reblogged this on the daysman.